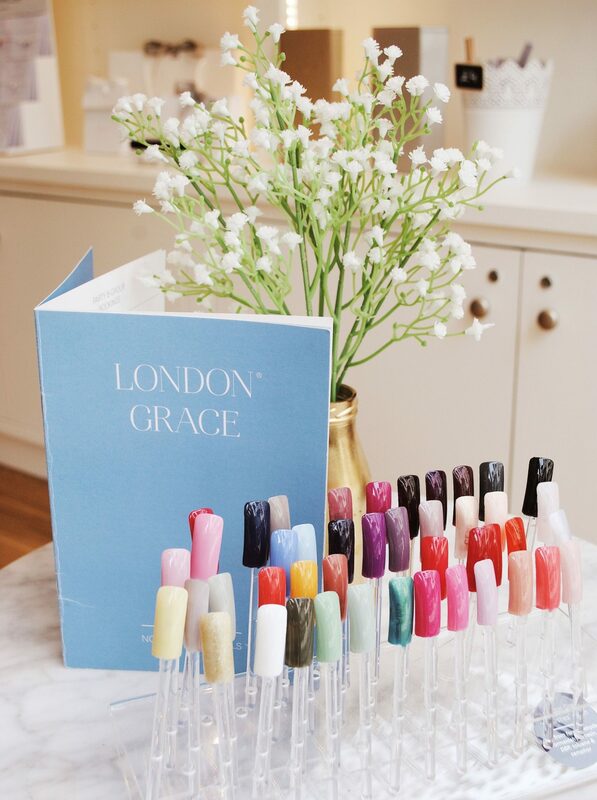 I’ve never been one to turn down a spot of pampering, so when London Grace got in touch and asked me to come along to their new nail bar in Chelmsford, I leapt at the chance. 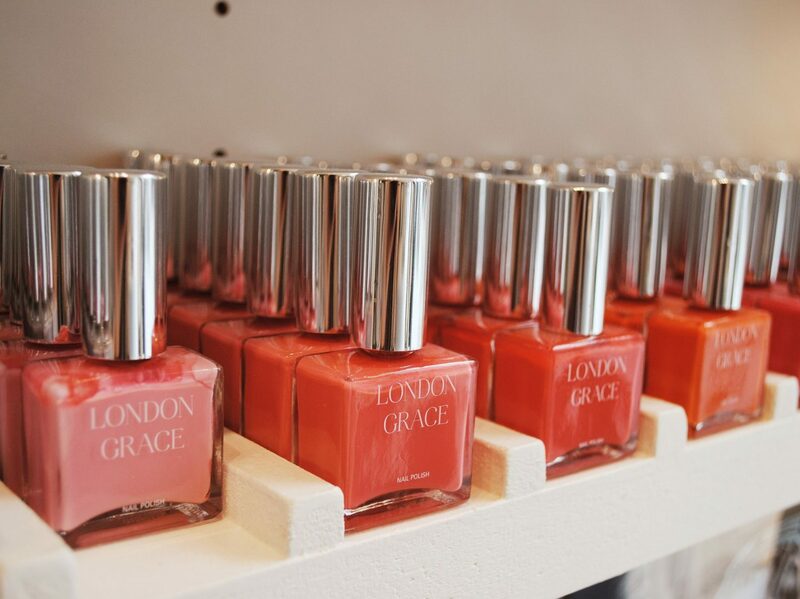 With stores all over London, London Grace has recently spread its wings/talons? to Essex. 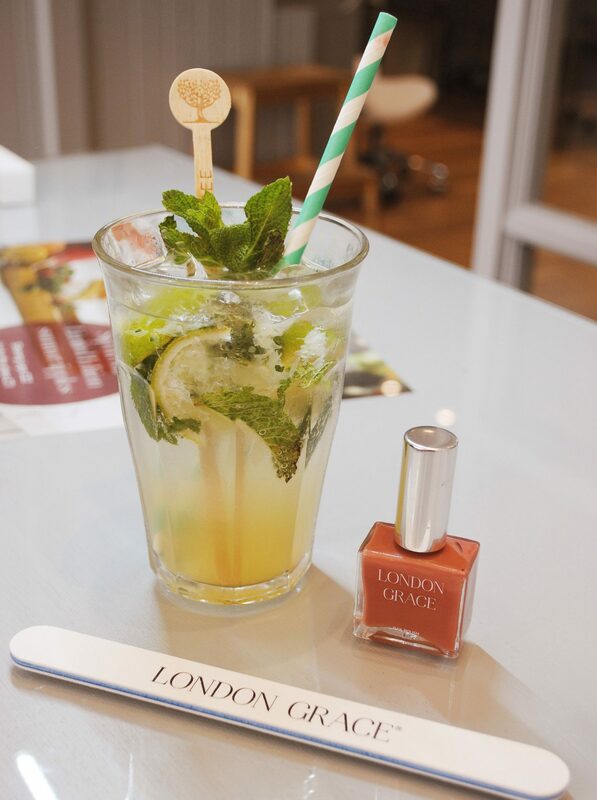 With high standards and clean thinking at the heart of their values (they use biodegradable straws and you won’t find abrasive filing or fake nails here), London Grace is certainly not your average nail bar, and trust me – I’ve had my fair share of experiences with them! My sister Laura and I both arrived in the Chelmsford store and were shown to our treatment table by Kelly and Lauren who would be our nail technicians. Initial impressions were great – the decor was light and airy, and the whole place felt so clean and fresh. The treatment tables are designed so that you’re not on top of each other, but are able to share the area together, allowing for a good natter! 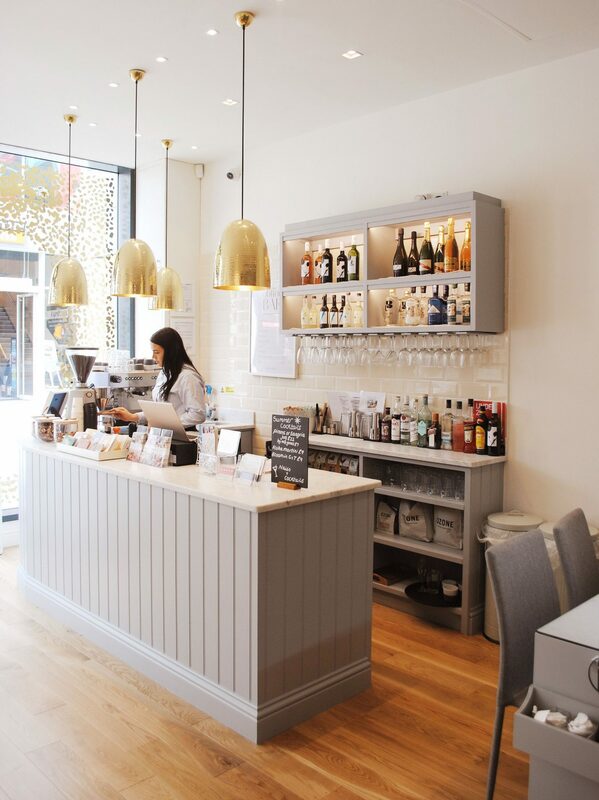 I could definitely sense the friendly, sociable atmosphere that’s promoted here; apparent through the charming, chatty artwork on the walls and the long booth style seating area, meaning you can pop in with friends, get a manicure and catch up with a cocktail together. I’m not sure what’s a more dreamy way to unwind than that! London Grace offer an extensive range of party packages too, (hello pizza and prosecco!) 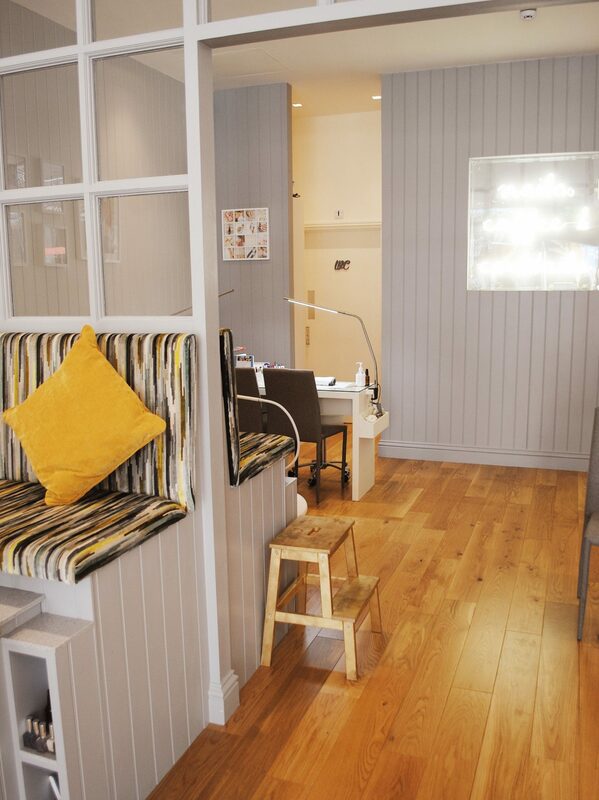 as well as a great ‘Laquer and Liquor’ offer – 2-4-1 cocktails with any treatment between 5 to 6pm. Kelly and Lauren set to work on our nails with expert precision as we relaxed and chatted with them. 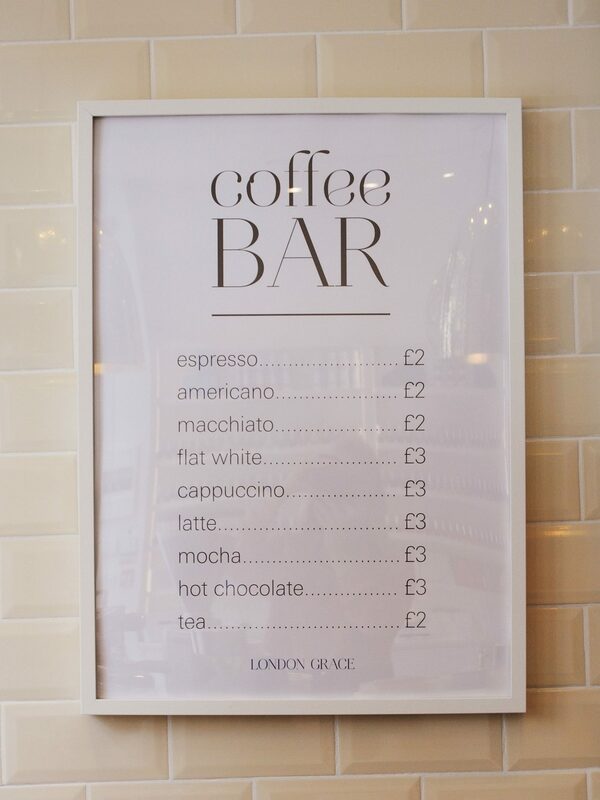 The professional nature of the staff also really goes a long way at London Grace. Too many times I’ve been sat and ignored while getting my nails done at a busy salon, feeling like more of an inconvenience than anything! Here it was totally the opposite. We were asked if we’d like drinks and felt very VIP indeed. It was 10am so we opted against alcohol, but my mojito craving was satisfied as they also provide non-alcoholic cocktails – perfect! I must confess I am a nail biter and have often been embarrassed of the state of my nails, but Lauren worked her magic and although my nails are short, I was so pleased with the results. Once our nails were dry, we had a little browse at the front of the store, where an array of gorgeous gifts were on display. 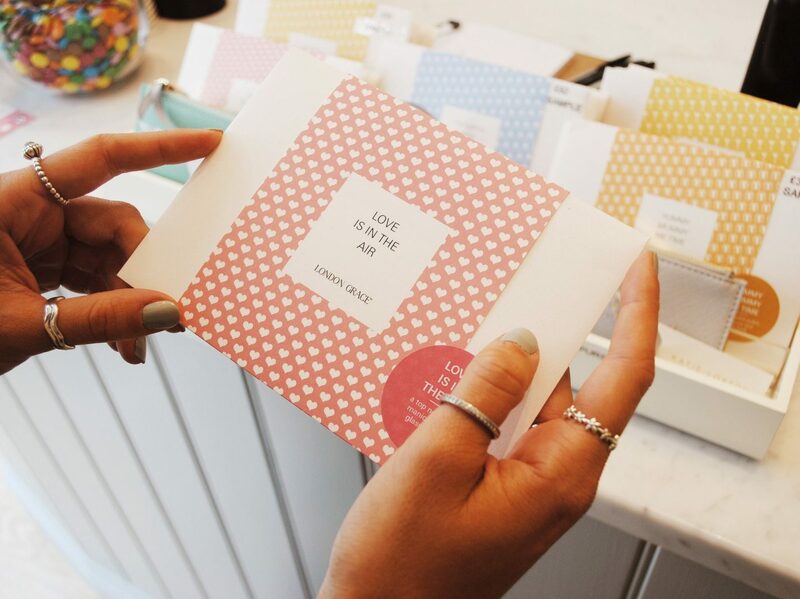 There’s an extensive range of own brand nail polishes for sale too that are all ‘free from nasties’, and named after those in some way involved with the creation of London Grace, from accountants to shop fitters to founder Kirsten Hazell’s childhood babysitter! A really thoughtful touch. We left the store feeling refreshed with our new nails! London Grace, safe to say you’re um, nailin’ it! 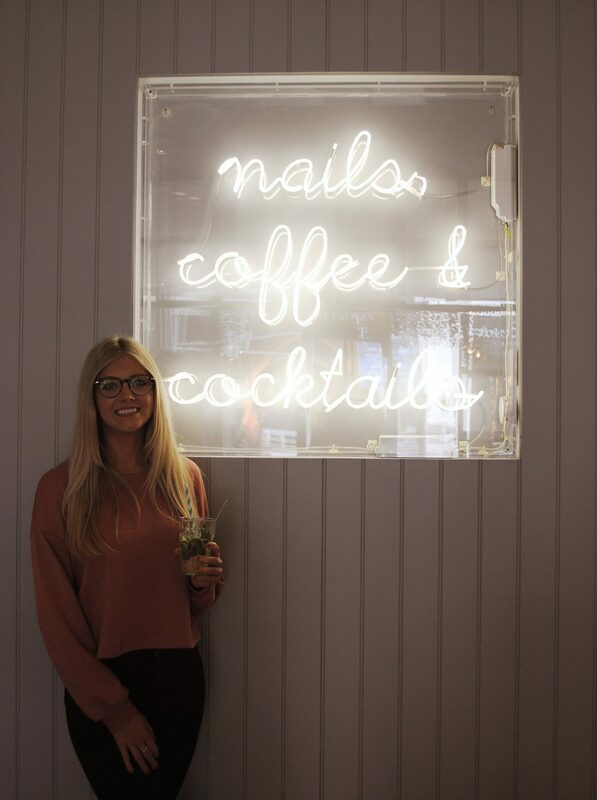 We received complimentary treatments and drinks at London Grace Chelmsford, but as always views are my own and I will only blog about things I genuinely love – and I hope you’ll love too!